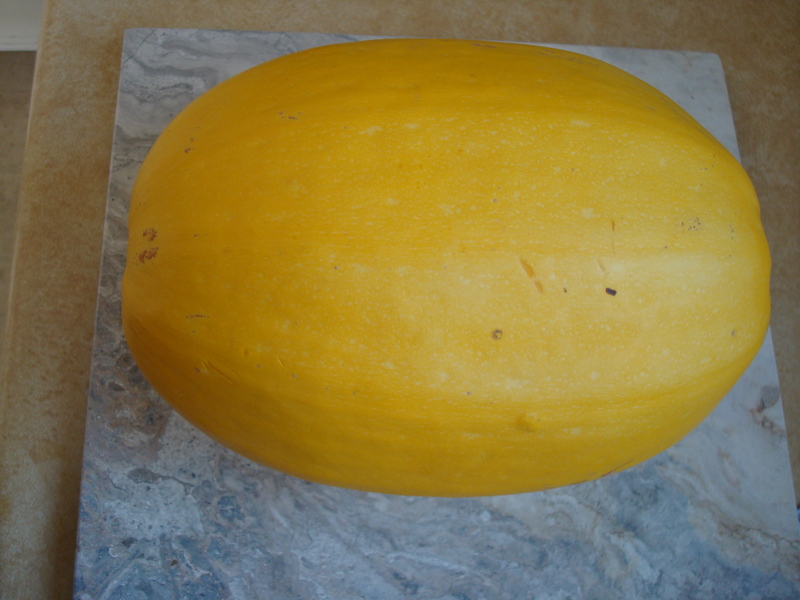 I love squash and cook with it frequently though had never ventured into spaghetti squash territory until a week or so ago. I was more comfortable with butternut and acorn but will for sure be testing other varieties in the future. It’s all so delicious! 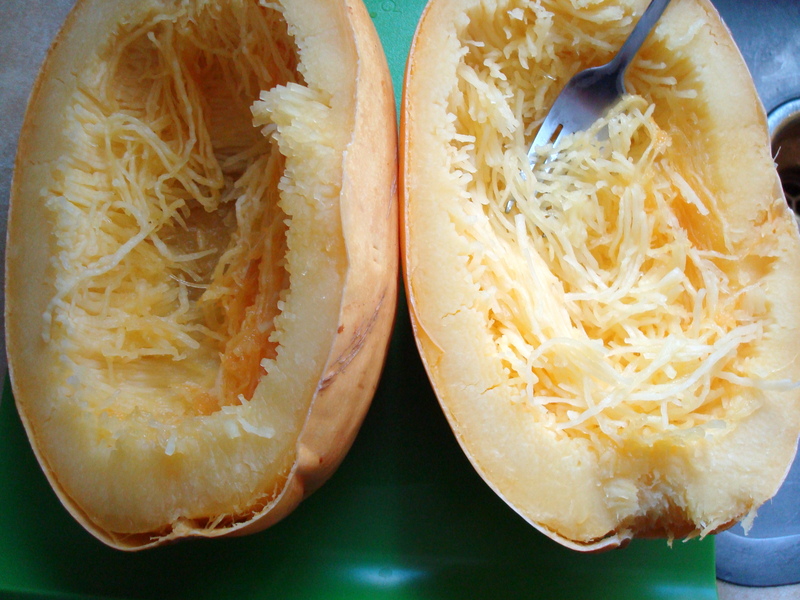 First you roast the spaghetti squash for about an hour and a half and then let it cool before cutting it through the middle length-wise. 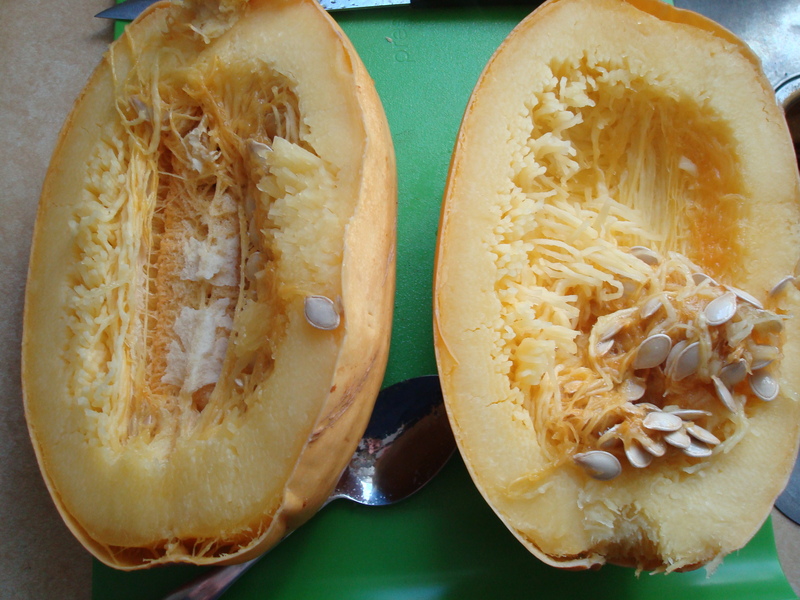 Then you scoop out the seeds and discard or roast if you are feeling so ambitious. Next you take a fork to pull the squash out of the shell. 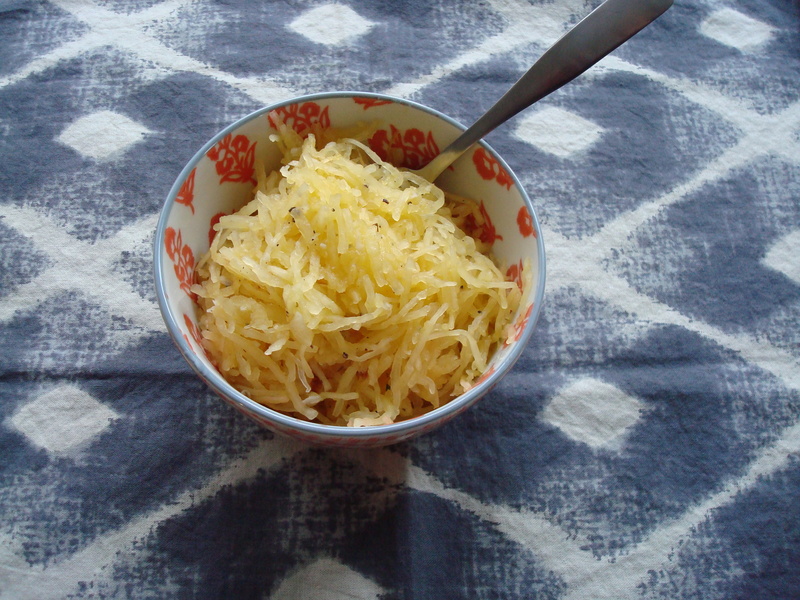 It comes out very easily in stringy spaghetti-like strands, in case you were confused about how it got its name. 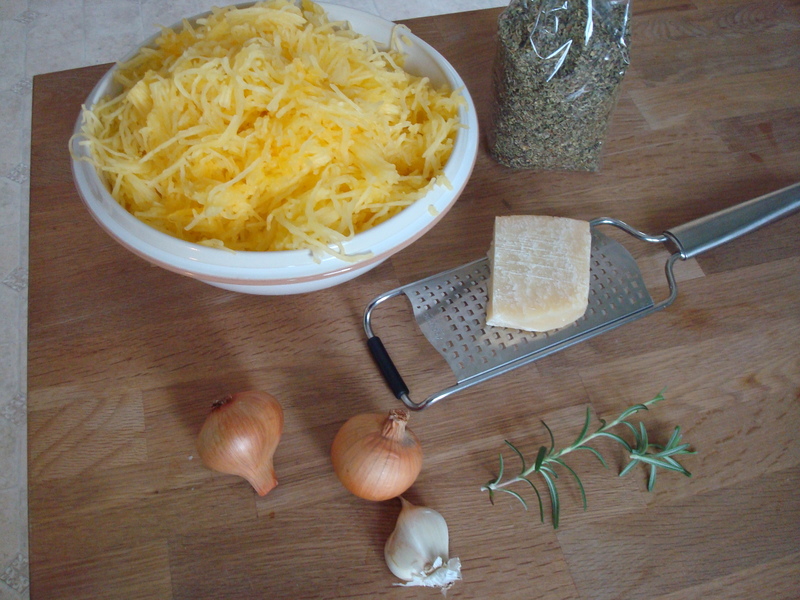 This type of squash doesn’t have a whole lot of flavor on its own so it makes a great base for sauces and is a great pasta substitute for those who are gluten-free or trying to avoid wheat in general. This particular recipe calls for very simple ingredients like shallots, garlic, rosemary, thyme, parsley and parmesan cheese. 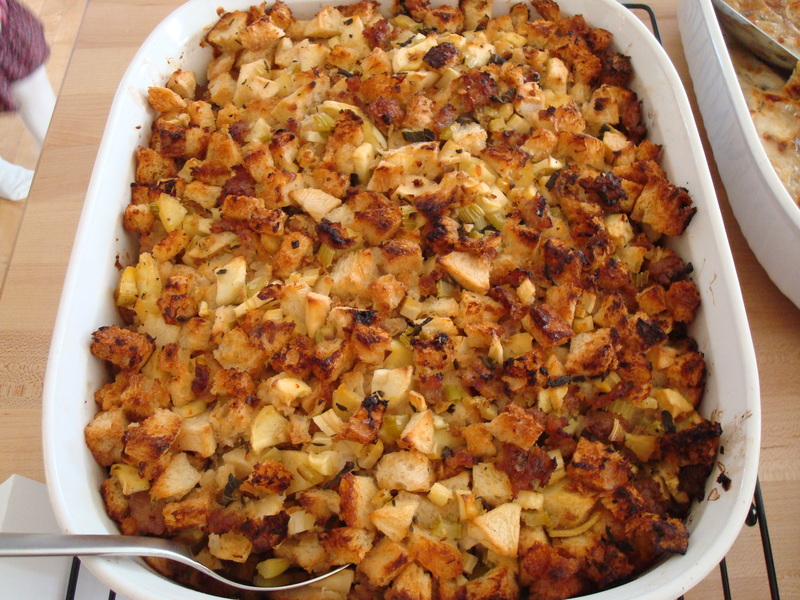 It results in a very comforting and filling-in-a-satisfying-not-stuffed-way dish. To roast squash: preheat oven to 375 degrees. With a small sharp knife, prick squash all over. Place on a rimmed baking sheet and roast until tender when pierced with knife, about 1 hour 20 minutes, flipping halfway through. When cool enough to handle, halve lengthwise and scoop out seeds. 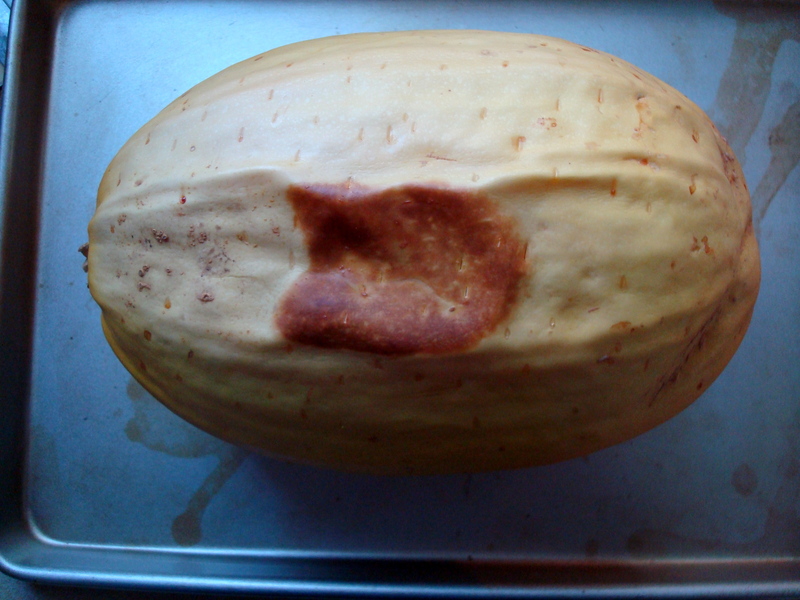 Scrape squash with a fork to remove flesh in long strands. In a large nonstick skillet, melt butter over medium. Add shallots and garlic and cook until softened, 7 minutes. Stir in thyme and rosemary and cook until fragrant, 1 minute. Add squash and toss to combine. Cook until warmed through. Stir in parsley and Parmesan and season with salt and pepper. After all of the junk I ate over the holidays I decided I needed to atone for it in the new year and the first food that came to mind? Kale. 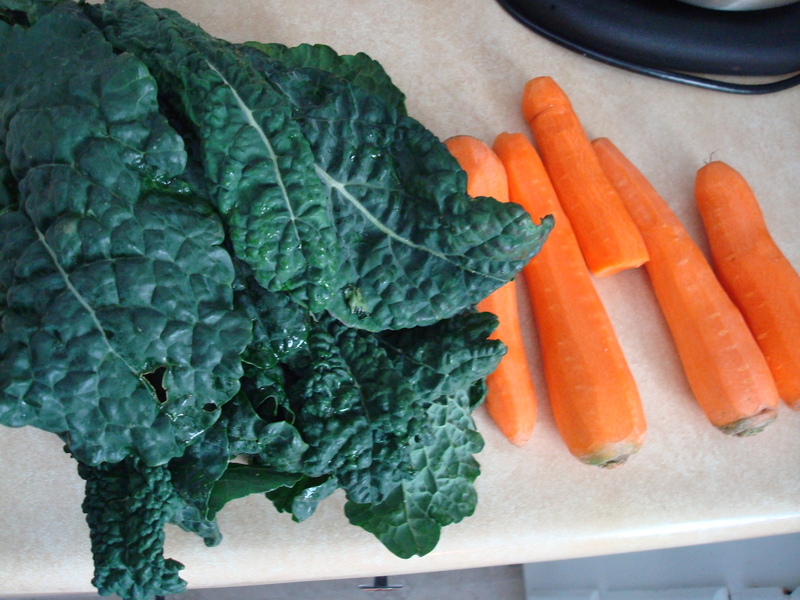 It’s so good for you and I am actually quite a fan of it so it was not difficult to convince myself to seek out kale-based recipes. Other foods that are good for you? Carrots, white beans, garlic, and onions. Check, check, check, and check. Last week was very cold with temps in the single digits at night so soup sounded like an especially excellent idea and also an easy way to combine all of the aforementioned ingredients. The recipe recommended adding kielbasa or other smoked sausage so I did, though the soup could easily be made vegetarian by omitting the sausage and substituting vegetable broth for chicken broth. It would still be excellent with these changes though I am glad I used the kielbasa because it definitely added a nice smokey dimension to the soup and made it more hearty. Another key ingredient that I have never once added to a soup before is a hunk of parmesan cheese rind. It totally works. It partially melted into the soup adding a salty creaminess though there was still a substantial chunk of cheese left after it was done cooking that I discarded along with the bay leaf. 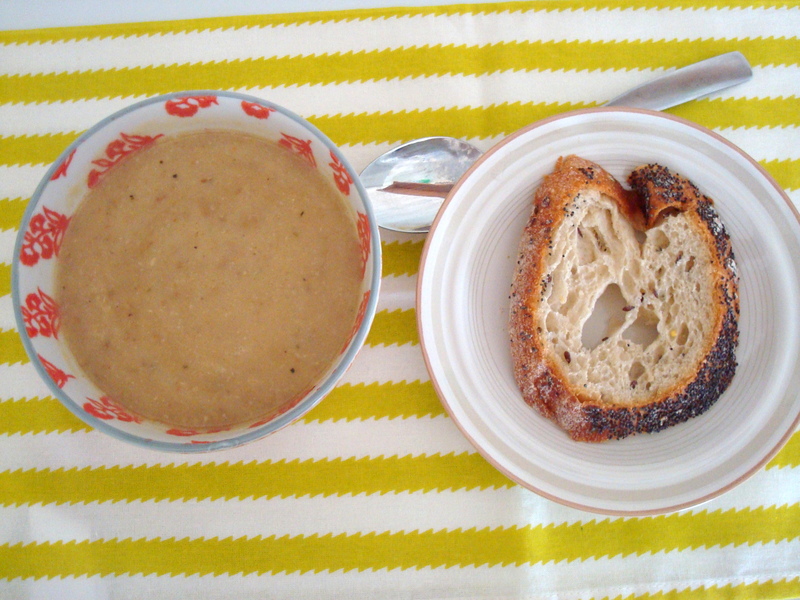 This may be my favorite new soup and it was very simple to make. Certainly it would have been a little healthier without the kielbasa and parmesan but overall I think the good far outweighs the bad and it’s definitely a good way to start the new year! Cover beans with water by 2 inches in a pot and bring to a boil. Remove from heat and let stand, uncovered, 1 hour. 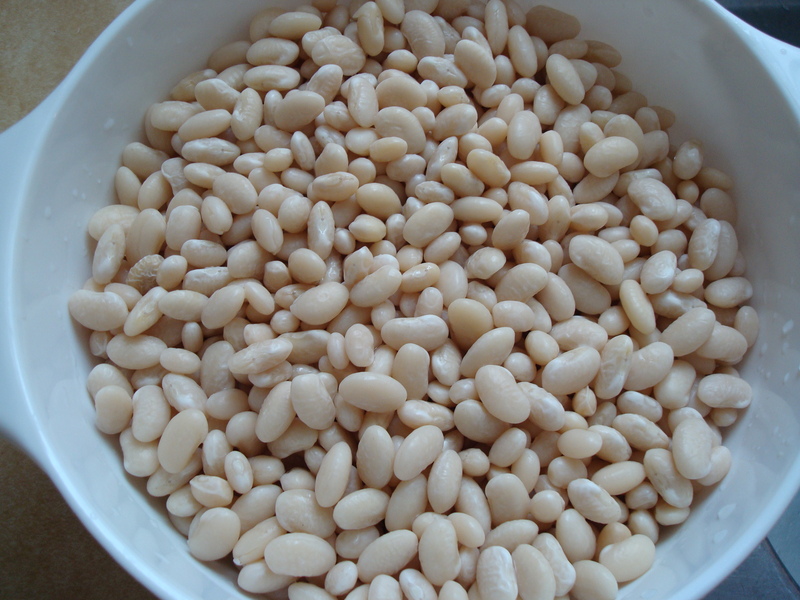 Drain beans in a colander and rinse. Cook onions in oil in an 8-quart pot over moderately low heat, stirring occasionally, until softened, 4 to 5 minutes. Add garlic and cook, stirring, 1 minute. Add beans, broth, 1 quart water, cheese rind, salt, pepper, bay leaf, and rosemary and simmer, uncovered, until beans are just tender, about 50 minutes. 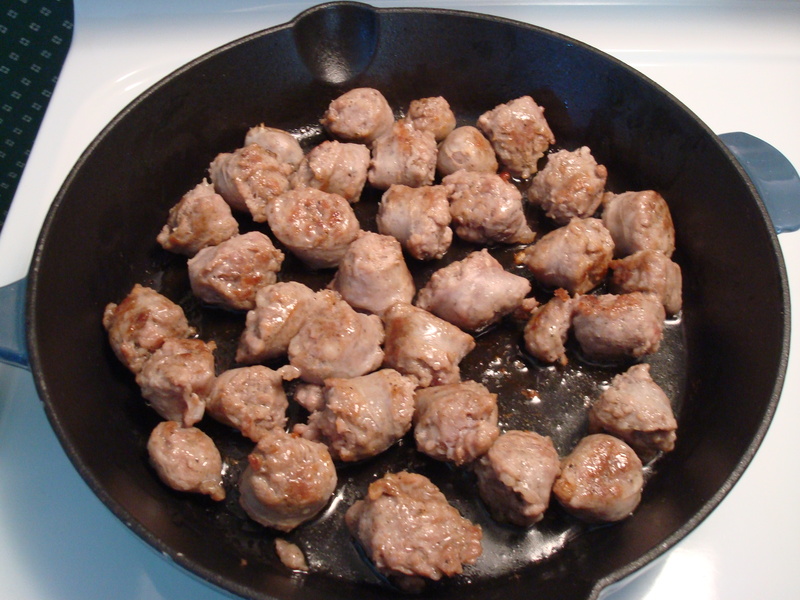 While soup is simmering, brown sausage (if using) in batches in a heavy skillet over moderate heat, turning, then transfer to paper towels to drain. Stir carrots into soup and simmer 5 minutes. 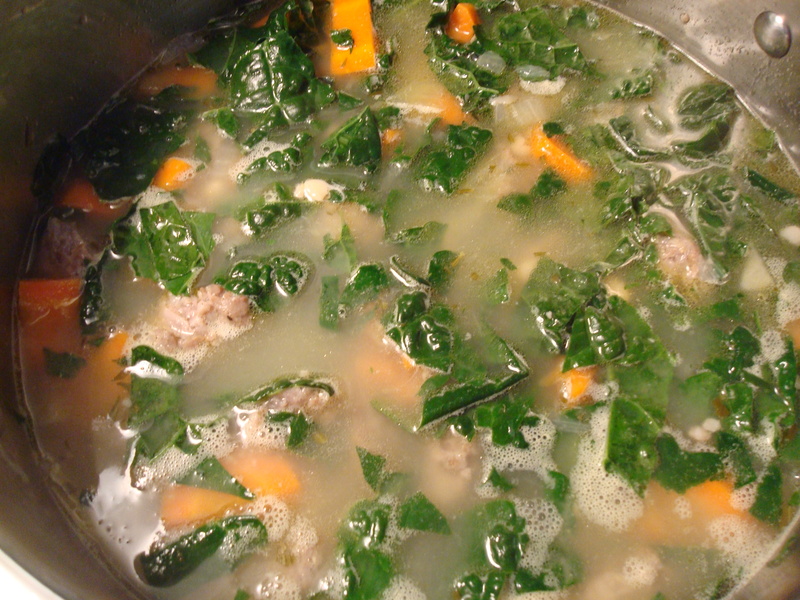 Stir in kale, sausage, and remaining quart water and simmer, uncovered, stirring occasionally, until kale is tender, 12 to 15 minutes. Season soup with salt and pepper. Cooks’ note: Soup is best if made 1 or 2 days ahead. Cool completely, uncovered, then chill, covered. Thin with water if necessary. This pie is full of all kinds of things I like: sweet potatoes, rosemary, pecans, bourbon. What’s not to like in there? I must warn you that this pie is not for the low maintenance baker wanting to whip up something quick. There are multiple steps and they take some time. But the end result is well worth it, and as with the other pies I have posted in recent weeks, this would be great for Thanksgiving. Especially if it’s the only thing you are responsible for bringing to the meal! 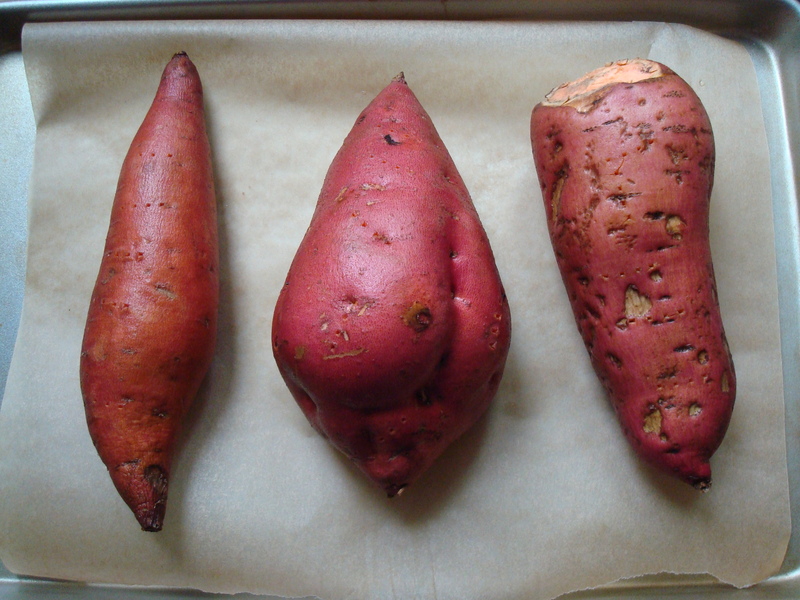 The early steps involve roasting sweet potatoes until they are tender enough to puree. You also have to candy up some pecans and let those cool while you work on the rest of the pie. (Try to resist the urge to eat them all or you’ll regret that when it comes time to place them decoratively on top of the pie in a few minutes.) You have to roll out a crust and fit it into a pie pan and then put that in the fridge until you are ready to fill it. The one kind of high-maintenance step that is never my favorite to do involves separating the eggs and beating the egg whites until foamy and then folding them in with the rest of the batter. I don’t know why it’s not my favorite thing to do because it’s really not that difficult but it does add a little extra time to the process. As I said above though, all the extra steps are well worth it. 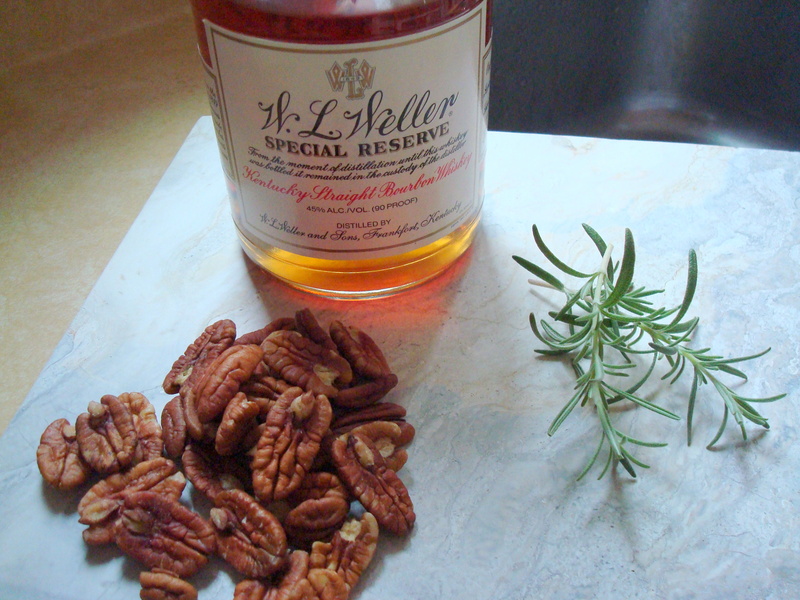 The resulting pie is light (which is not an easy feat for a sweet potato pie) and the rosemary adds a hint of savory, while the candied pecans add a nice sweet crunch, and the bourbon and maple syrup add a certain depth to the flavor. 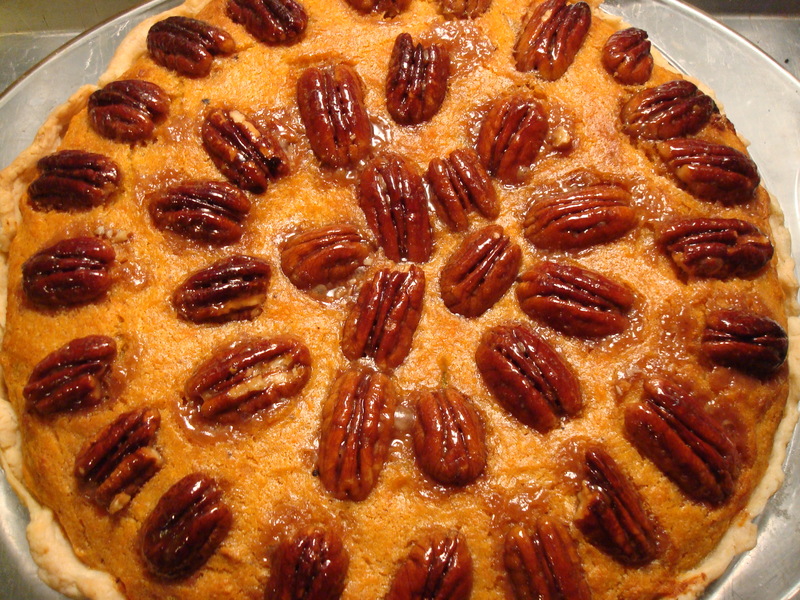 And if you artfully arrange the candied pecans (which I didn’t so much do) it’s also a very impressive-looking pie. Wow your guests this Thanksgiving! Roll out the dough on a lightly floured surface and fit it into a 9-inch pie pan. Trim the crust overhang to 1 inch and crimp the edges decoratively. Place the crust in the refrigerator while you prepare the topping and filling. Melt the butter in a medium-size saucepan over medium heat. Add the pecans, maple syrup, bourbon, and salt and cook, stirring occasionally, 4 to 5 minutes, until the mixture is thick and gooey. Prick the potatoes 3 or 4 times apiece with the tines of a kitchen fork. Line a rimmed baking sheet with parchment paper. Place the potatoes on the baking sheet and bake for 1 hour. Remove the potatoes from the oven, leaving the oven on and reducing the temperature to 350 degrees F.
Let the potatoes stand 10 to 15 minutes, until cool enough to handle. Peel off the skins and put the flesh in a large bowl. Mash with a potato masher until softened and smooth. Using an electric mixer or a whisk, beat the egg whites in a medium-sized bowl until billowy peaks form. Set aside. Add the heavy cream and butter to the bowl containing the mashed sweet potatoes. Whisk until the butter melts and the cream is well incorporated, then whisk in the egg yolks until fully combined. Place the bourbon in a medium-size saucepan. 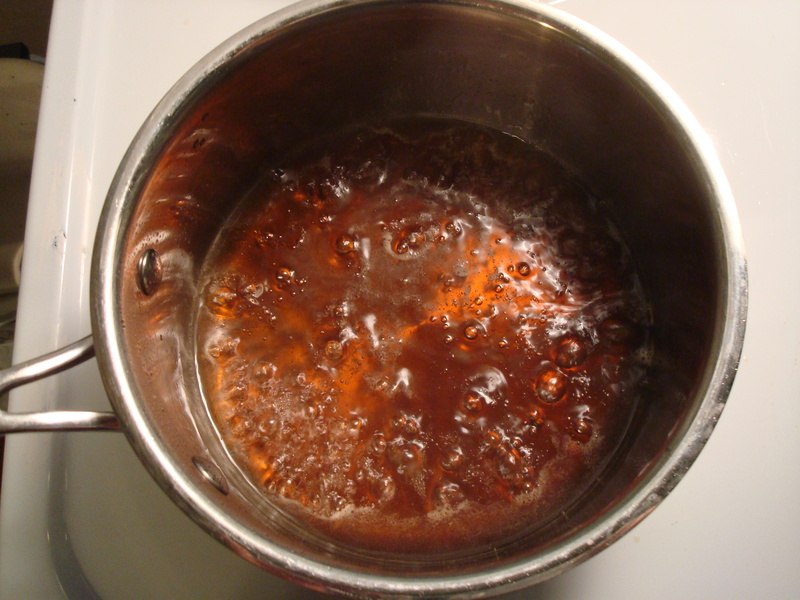 Bring to a boil over high heat and boil vigorously for 1 to 2 minutes, then stir in the maple syrup and brown sugar. Boil 2 to 3 minutes longer, until the brown sugar melts. Remove from the heat and pour into the potato mixture. Whisk until well combined. Add the rosemary, salt, allspice, cinnamon, and nutmeg and whisk to blend thoroughly. Add the beaten egg whites to the potato mixture. Fold in gently with a spatula until the whites are fully incorporated. 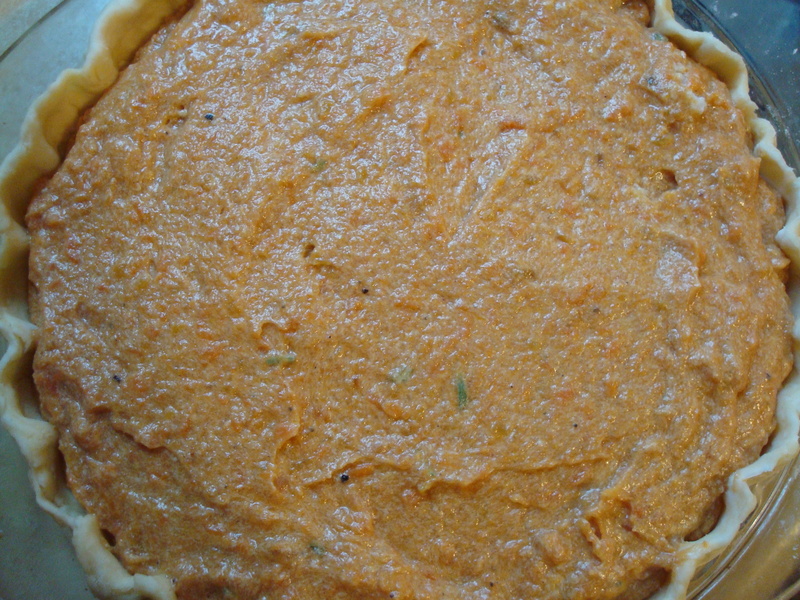 Pour the filling into the chilled crust, using a spatula to distribute it evenly. Arrange the candied pecans decoratively over the filling in a pattern that you like. Bake in the 350 F oven for 1 hour, until the filling is set and doesn’t jiggle when the pie pan is gently shaken. Cool at least 50 to 60 minutes before serving, so the pie has time to set up and firm throughout. Mix the flour and salt together in a medium-large bowl. Slowly drizzle in the ice water and stir with a large spoon until the dough begins to clump. Transfer the dough to a floured work surface and, using your hands, fold it into itself until the flour is fully incorporated into the fats. The dough should come together easily but should not feel overly sticky. Divide the dough in half, shape it into two balls, and pat each ball into a ½-inch thick disk. 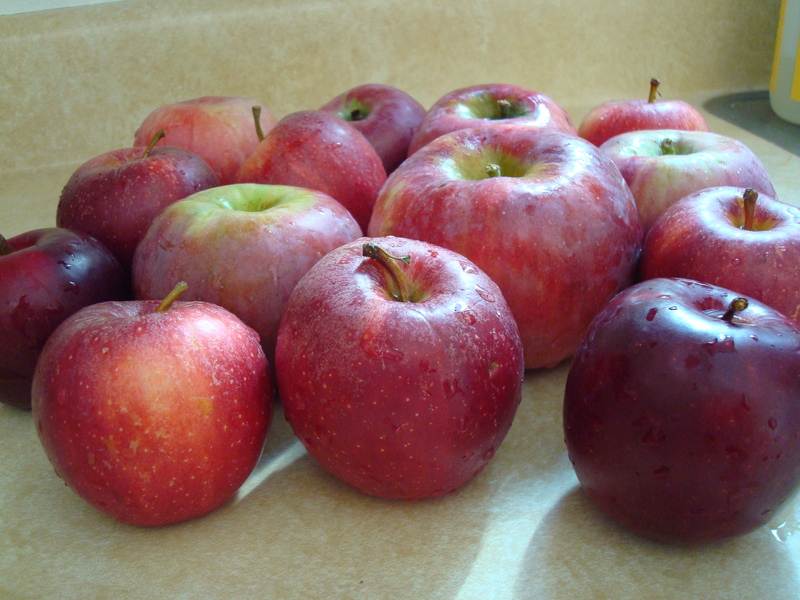 Wrap each in plastic wrap and refrigerate for at least an hour. Massive apologies for the large gap between posts. I went on vacation and severely neglected my blog along with much else in life. It was great, but now I’m back to tell you how much I love fall. I love it, I do. Favorite season of the whole darn year. And even though it was a sticky 90 degrees today by the weekend it will be in the 50’s at night and you will want soup, mark my words. It definitely felt like fall at the farmer’s market this past weekend. I wore jeans for the first time in ages and it was kind of gray and windy and I got there early enough to avoid crowds and really take my time perusing the seasonal wares. Since it was feeling so much like fall I decided to pick up some standard soup ingredients: potatoes, onions, garlic. Done and done and done. 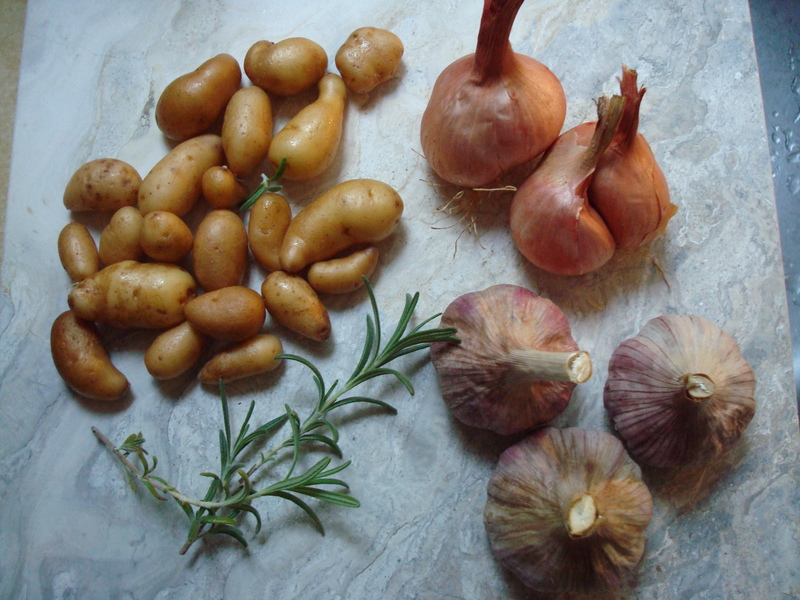 I made a beautiful soup by roasting the garlic and shallots and then sticking them in a pot with some potatoes, wine, broth, and a little fresh rosemary. 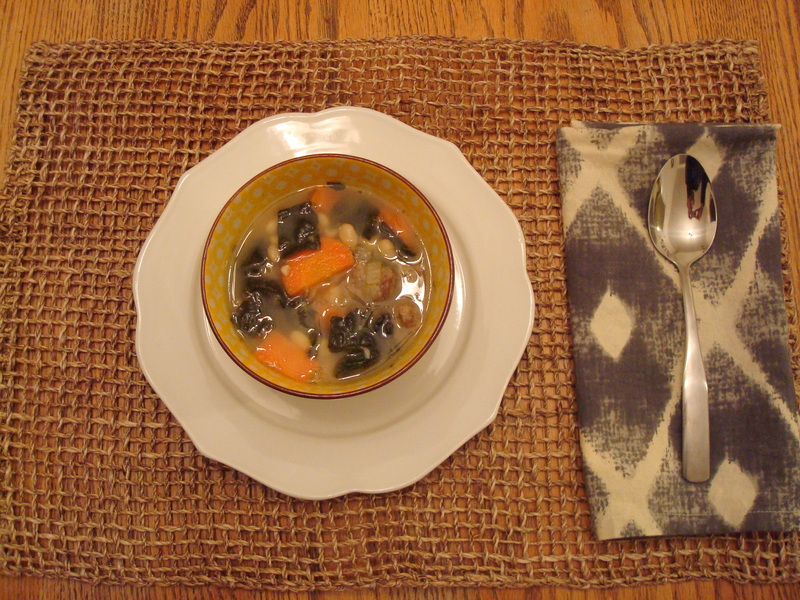 My apartment smelled amazing and the resulting soup was rich, creamy, and filling in a nice, not overly-stuffed way. With a little fancy “ancient grain” bread I picked up at Whole Foods it fed me well all weekend. And now hopefully it will feed you well some weekend this season! 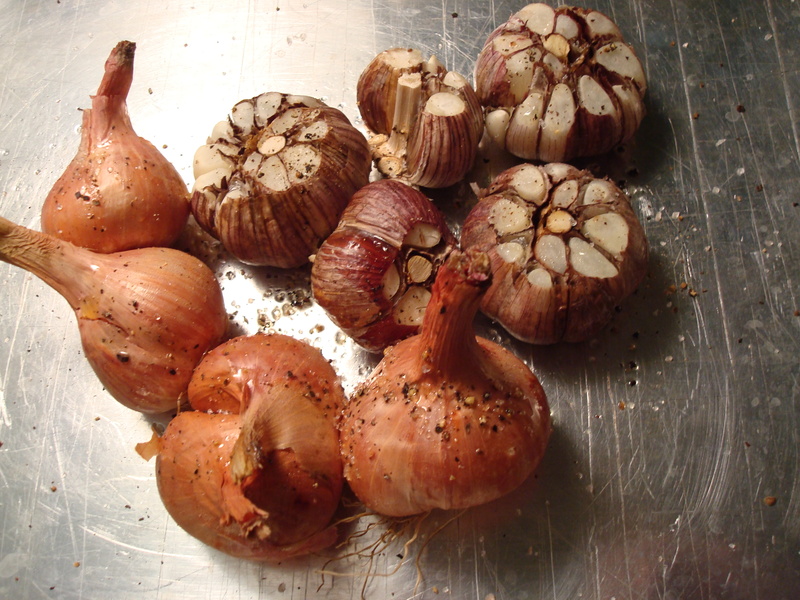 Remove white papery skins from garlic heads (do not peel or separate cloves), cut off tops, leaving root ends intact. Place garlic in a shallow roasting pan. Drizzle 1 tablespoon oil over garlic, sprinkle with ¼ teaspoon salt and ¼ teaspoon pepper. Cover with foil. Bake at 400 for 20 minutes. Add shallots to pan. Drizzle 1 tablespoon oil over shallots, sprinkle with ¼ teaspoon salt and ¼ teaspoon pepper. Cover and bake for 25 minutes or until tender and browned. Cool. Squeeze garlic to extract pulp; peel shallots. Discard skins. Set garlic pulp and shallots aside. Heat 1 ½ tablespoons oil in a Dutch oven over medium heat; add onion. Cover and cook 15 minutes or until lightly browned, stirring occasionally. Add garlic pulp, peeled shallots, and wine. Reduce heat; simmer, uncovered, 5 minutes. Stir in broth, potato, and rosemary (or thyme); bring to a boil. 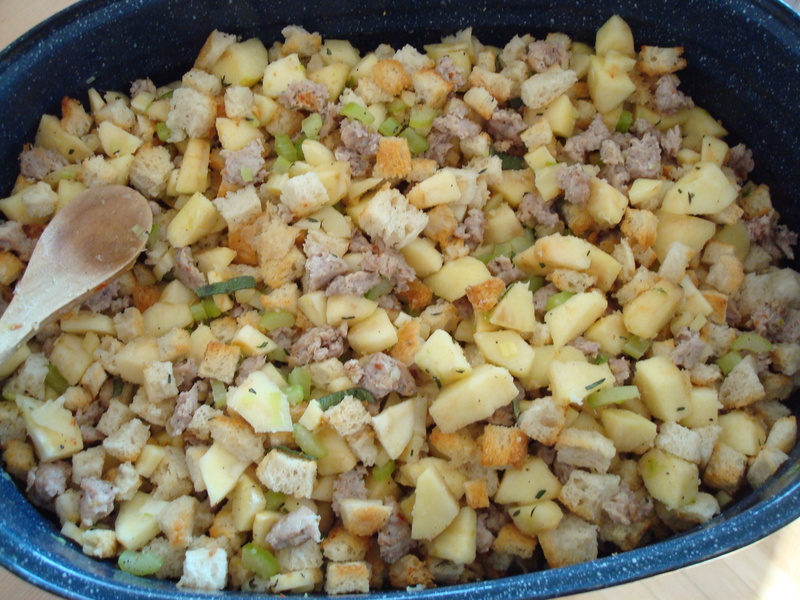 Cover, reduce heat, and simmer 20 minutes or until potato is tender. Cool slightly. If you have an immersion blender use in Dutch oven until soup is smooth, if you do not own an immersion blender place half of potato mixture in a blender; process until smooth. Pour pureed mixture into a large bowl. Repeat procedure with remaining potato mixture. If you used a blender return pureed mixture to pan. Stir in milk, ¾ teaspoon salt, and ½ teaspoon pepper into pureed mixture. Cook over medium heat 5 minutes or until thoroughly heated. When I first moved to Wisconsin I stayed in temporary corporate housing for the first month while I searched for an apartment. The temporary housing was lovely and all but it had that kind of generic, sterile, hotel vibe to it. Tan carpet, tan couch, beige walls, wooden fruit on the kitchen counter for decoration, sateen bedspread, that kind of thing. The good news about the temporary housing was that it was within walking distance of a great produce market/speciality food store that immediately made me feel at home. My first night in town I walked over and picked up the essentials: cheese, sausage, bottle of wine, fruit, and a loaf of bread. 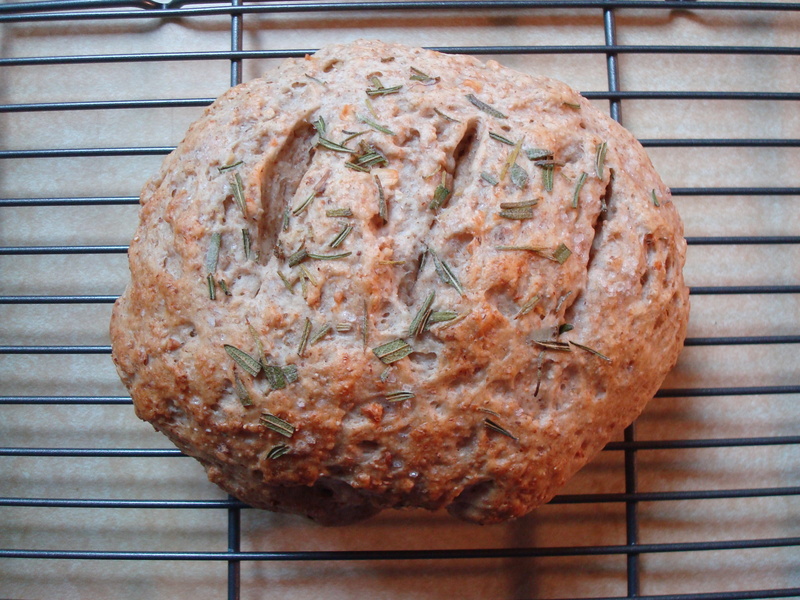 And not just any bread but a fancy loaf of rosemary bread. Best decision I made. I ate it sliced with butter on it (delicious) and made grilled cheese with it (even better). I had forgotten about that wonderful bread until I saw this recipe in a magazine I picked up a few months back. 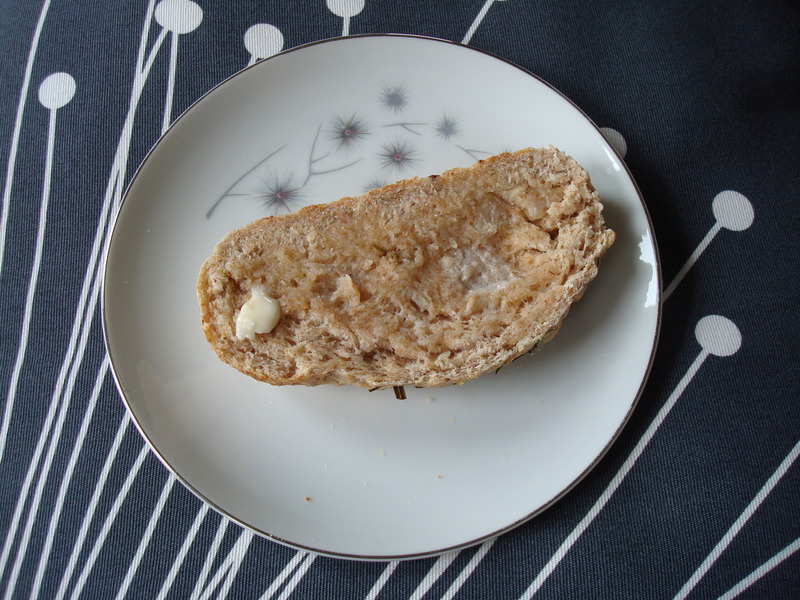 This bread was very easy to make at home, though be aware that you have to do some serious kneading and allow plenty of time for the dough to rise so it cannot be made in a hurry. But good things shouldn’t be rushed. Also note that the original recipe called for 3 to 5 minced cloves of garlic so I split the difference and made mine with 4 and though I love garlic I found it too overpowering here. If you’d like to add the garlic I recommend using no more than 3 cloves but certainly feel this bread would be great without it. In a large bowl, combine the water, sugar and yeast, and let this rest until foamy, about 10 minutes. Stir in the oil, sat, lemon juice, garlic and rosemary. Stir in the flours; then knead for 10 minutes. Oil a clean bowl, and then roll the dough around to oil the surface. Let it rise until doubled, about one hour. Once risen, knead the dough again for five minutes. Let it rise for another 20 minutes. 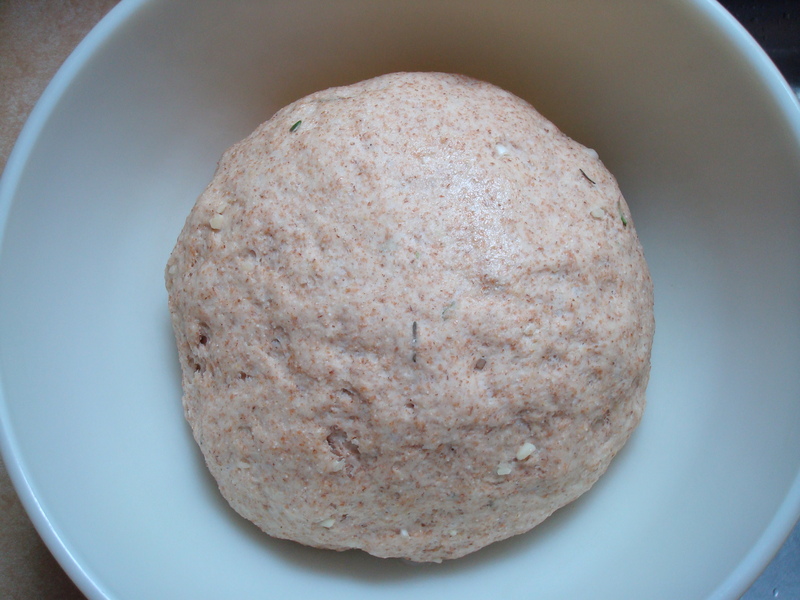 Divide the dough into two equal parts, and shape each into a small ball-shaped loaf. Place each on an oiled baking sheet that has been lightly dusted with cornmeal. 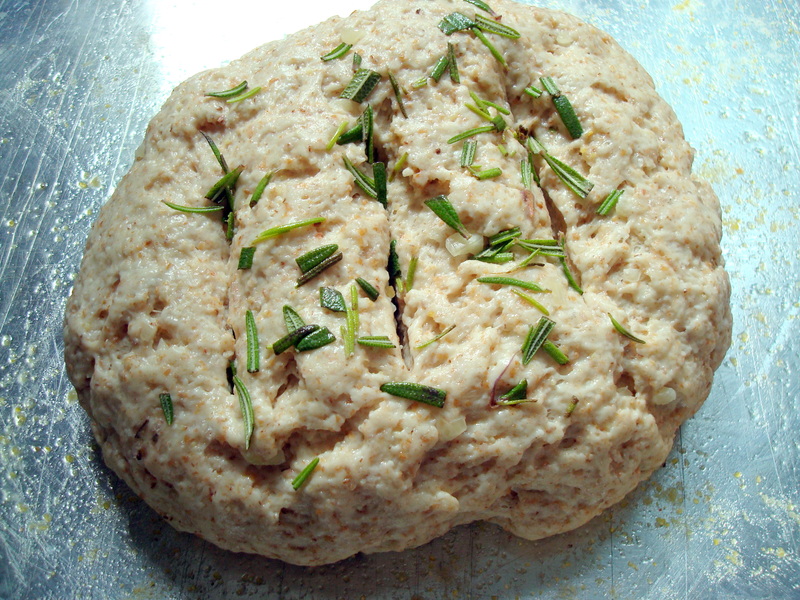 Brush the foamy egg white on the tops of the shaped loaves, and sprinkle with coarse salt and rosemary leaves, pressing lightly into the surface of the dough. Cover loosely with plastic wrap, and allow the dough to rise for 45 minutes. Preheat oven to 375 degrees F. With a sharp knife or kitchen shears, make 3 ¼-inch-deep cuts in the top of each loaf. Bake for 15 to 20 minutes or until the crust looks light brown and the loaves make a hollow sound when lightly thumped on the bottom. Cool on wire rack. Makes two 6-inch round or oval loaves. Parsnips only came onto my radar within the past six or so years– they just weren’t a part of my early life for some reason but now I’m a major fan. They look like white carrots but have a sharper taste to them and they are so easy to prepare. And they’re delicious! Bonus. I found this recipe in the current issue of Bon Apetit and promptly got to the business of trying it. It’s so simple. You toss cut up parsnips with olive oil, salt, pepper, chopped rosemary, and minced garlic and then you roast for about twenty minutes. Sprinkle a little cumin on them and call it a day. Trick your kids and picky-eating friends into thinking they’re fancy French fries and they’ll totally go for it. Except these are waaaaaaay better than fries. 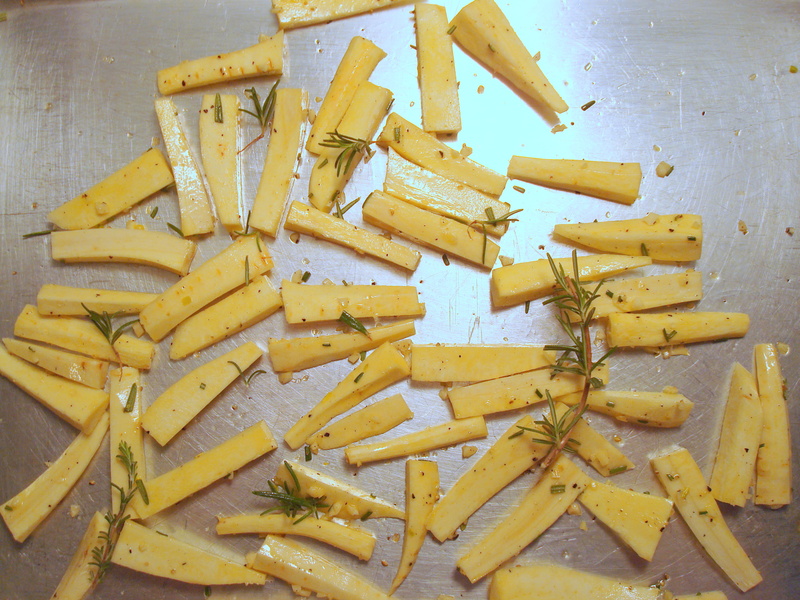 Preheat oven to 450 degrees F. Mix parsnips, chopped rosemary, garlic, and oil on a large rimmed baking sheet. Season with salt and pepper and toss to coat. Spread out in a single layer. Scatter rosemary springs over. 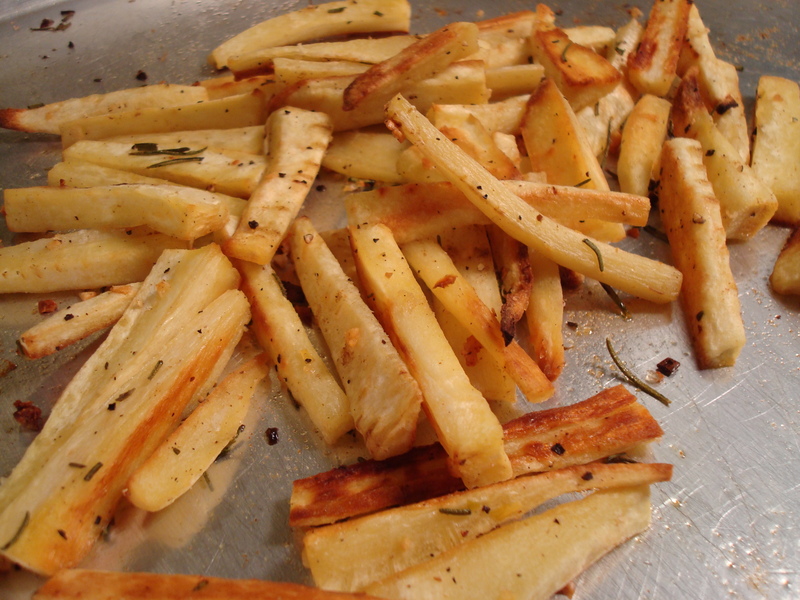 Roast for 10 minutes; turn parsnips and roast until parsnips are tender and browned in spots, 10-15 minutes longer. 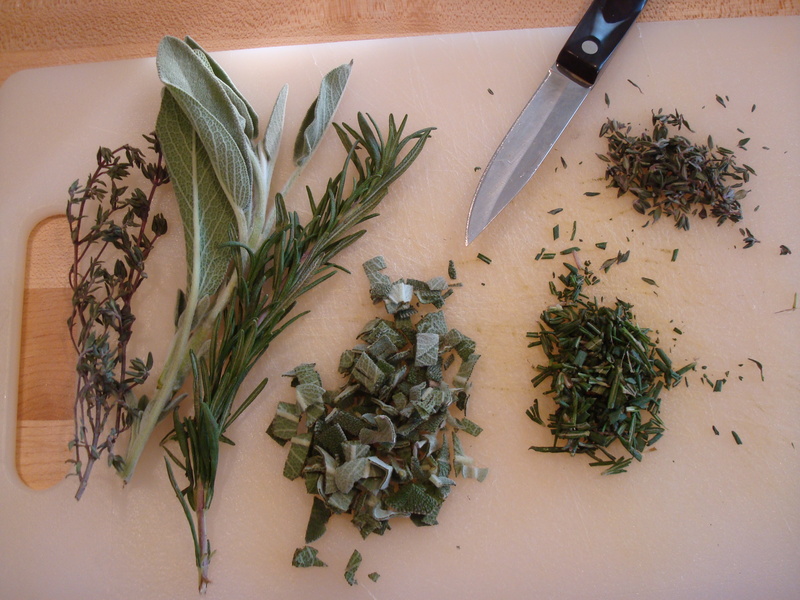 Crumble leaves from rosemary springs over; discard stems and toss to coat. Sprinkle 1/2 teaspoon cumin over. Season to taste with salt, pepper, and more cumin, if desired.